A roof is probably one of the most important parts of the home, and requires only the best roofing contractors in the area. 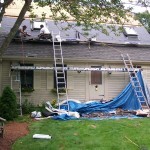 Replacing an old, worn roof can make your home more valuable, efficient, and appealing. 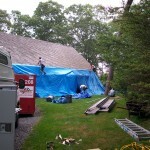 A roof helps to protects the interior from cold, dirt, snow, rain, wind and other potential dangers. New roofs help prevent health hazards, keeps heat inside the house, and also adds a significant higher value to your home. At Northside Home Improvement, our expert contractors fully review your needs, provide you with an estimate, and make the entire process convenient, quick and easy. 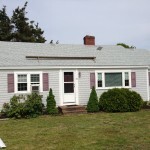 Almost every property owner at some point or another in their life will eventually be confronted with the need for a new roof. With lifespans of 30 years or less, odds are great that sooner or later you will have to explore how to properly address an aging roof. At Northside Home Improvement, we use only the finest quality material and dramatically limit your need for future costly repairs. With our prompt and effective service, quality workmanship, and attention to detail, we’ve set the industry standard in the area and will make your roof project the best that it can be. 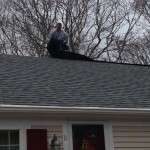 If your roof is more than two decades old or if it has sustained major damage over the years, then now might be the best time to consider a replacement. 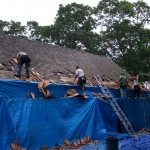 A roof replacement can be a huge decision, but will have an enormous impact on your home by offering numerous benefits. 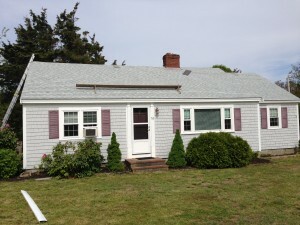 A new roof is a significant investment, but like any sound investment, there can be many returns. 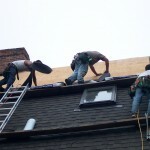 With over 35 years of experience, the expert roofing contractors at Northside Home Improvement offer the highest quality in workmanship and materials. Contact us today to learn more and receive your free consultation!